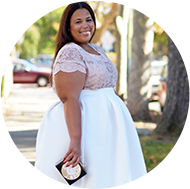 I was reading a post from Stylish Curves that posed the question, "Should plus size women always dress for their body type? Do we always have to dress for our curves?" This is something that I've been thinking about for some time. First up, I know how to flatter my body. I have post after post of synched waists, body skimming dresses, and fit and flare styles. I even know what works for other bodies, but with flattery comes a box that can zap the fun out of fashion. Flattery can prevent you from wearing something really adventurous. Take this dress. I saw this dress and immediately thought, the runway oversized looks that have been blazing the runway. I bought this dress in the largest size they had just so it wouldn't skim my waist. (It still skims my hips. Ugh!) This is the first purchase in a few months that I was extremely excited to wear. To me, this isn't the most flattering look, but it says fashion. Don't get me wrong, knowing the rules are a awesome starting point, especially for people trying to understand how to dress their bodies, but don't be afraid to try new things that you just like. The thing I loathe the most is when I read someone say, everything is meant for everybody. It drives me nuts, because yes if you can pay for something then it's meant for you. 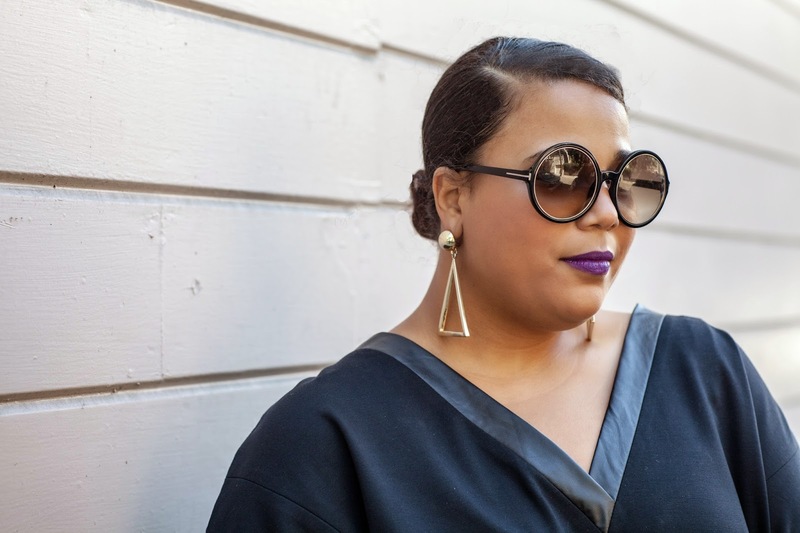 Plus size women are allowed to go outside of the flattery box and you can wear exactly what you want to wear. In the words of Beyonce, "I'm a grown woman, I can do whatever I want" and you can too. Style Notes: Let me just say that I love this dress. This is a shoot I did for fall inspiration and it's just so chic to me. This is from Lane Bryant and I purchased this in a 26/28. I wanted the top portion to be big. To me, it's looks a bit different on the model. I actually purchased this in-store. Had I had seen it online, I would have never gotten it.